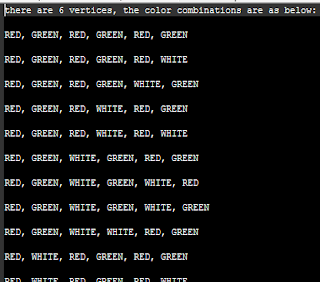 The Coloring Problem is coloring the vertices of a graph such that no two adjacent vertices share the same color, in this post, we will try to implement it in ANSI C.
// [a, d] are also adjacent vertices. * then call promising function to test whether the combination is valid. *         the current combination is valid and reach the latest vertice. *         the current combination is valid but not reach the latest vertice. *         the current combination is not valid. The promising function will return whether current combination is valid. 1. Output the result if the current combination is valid and reach the latest vertice. 2. 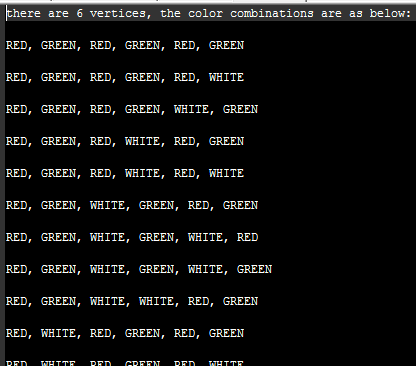 Continue add color - vertice to extend combination if the current combination is valid but not reach the latest vertice. 3. Terminate the recursive to skip any combination that starts with the current combination if the current combination is not valid.